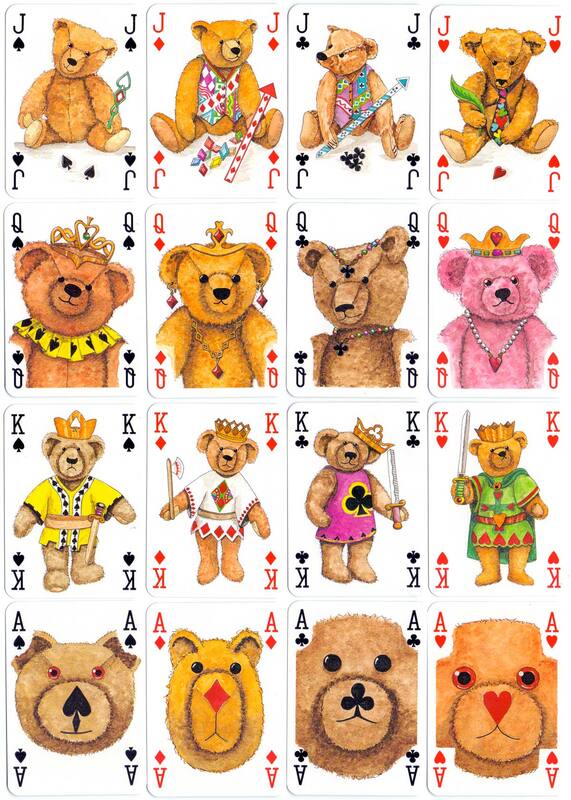 The Teddy Bear pack of transformed playing cards created by Peter Wood and published by Andrew Jones Art, 1994, a lovable collection showing teddies in unexpected situations on all the numeral cards. Above: court cards and aces from the Teddy Bear pack of playing cards created by Peter Wood and published by Andrew Jones Art, 1994. Manufactured by Carta Mundi.